Please note: this is a cozy mystery with an edge; contains some adult language. This is the second book in the Isobel Spice Series by Joanne Sydney Lessner. This story takes place approximately 4 months after the ending of the first book and opens with Isobel finding a man dead in the conference room of her current temp job at the PR firm of Dove & Flight. At first Isobel is concerned that the coffee that she had served him was poisoned, but then it appears that Jason Whiteley, a fit 28 year old, has had a heart attack. Of course, Isobel later finds out that the heart attack was helped along by via medications. When another life is claimed at the PR firm and a corporate merger is threatened, Isobel's instincts tell her that she needs to figure out what is going on - and fast. I was so thrilled that this book was even better than the last. I really enjoy seeing things from Isobel's temp agent, James Cooke's perspective as well as her own. The way that Isobel and James each gather information that leads to catching the killer is unique and so very interesting. Plus, Isobel has the possibility of a romance in this book. It was totally not what I wanted for her, but things get complicated and the budding romance is put on hold. Also, the return of some of the secondary characters from the first book were a welcome addition. Isobel getting to meet Jayla, James' ex, face to face was priceless. The pacing continues to be spot on and move smoothly from scene to scene. I missed Isobel's younger brother Percival, though he did get a mention. Hopefully we will see more of him in the next book. 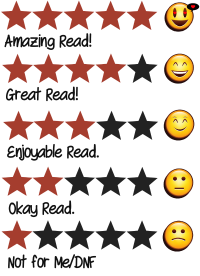 I am giving this book 4 stars on Goodreads. This is a good solid follow up to a great first novel. I can't wait to see what book 3 brings. THREE (3) Kindle copies of Bad Publicity by Joanne Sydney Lessner to three random commenters during the tour. Contest is tour-wide and ends May 27. So follow the tour and comment; the more you comment, the better your chances of winning. Joanne Sydney Lessner is the author of PANDORA'S BOTTLE, a novel inspired by the true story of the world's most expensive bottle of wine (Flint Mine Press, 2010), which Paperback Dolls named one of the top five books of 2010. THE TEMPORARY DETECTIVE (Dulcet Press, April 2012) introduces Isobel Spice, aspiring actress and resourceful office temp turned amateur sleuth. Isobel's adventures continue in BAD PUBLICITY. 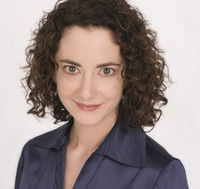 No stranger to the theatrical world, Joanne enjoys an active performing career, and with her husband, composer/conductor Joshua Rosenblum, has co-authored several musicals, including the cult hit FERMAT'S LAST TANGO and EINSTEIN'S DREAMS, based on the celebrated novel by Alan Lightman. For more information, please visit http://joannelessner.com.